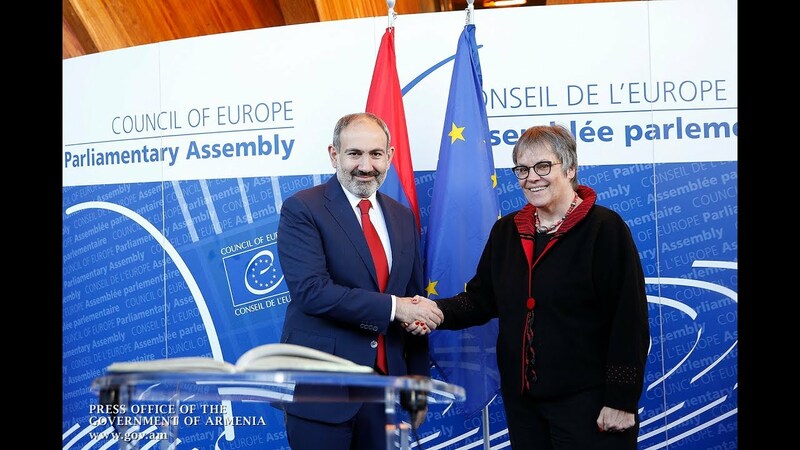 The Armenian authorities have reached an initial deal with Gazprom to keep the prices of natural gas unchanged for the domestic consumers, Prime Minister Nikol Pashinyan said in a Davos. “Gazprom actually sells gas to [its subsidiary], Gazprom Armenia; hence its role is mediated in a way. But we have agreed with Gazprom Armenia not to change the prices internally,” he told a correspondent of RIA Novosti. The premier said they are still continuing the talks with the Russian natural gas giant to reach a final agreement on the price policies. “A long-term agreement on the natural gas prices is of crucial importance for us. Discussions over a plan to create a single natural gas and energy market are currently going on within the Eurasian Economic Union, which means we still have a lot to talk about,” he said. It comes after Gazprom announced a plan for increasing the natural gas supply prices by 10% to $165 (per cubic meter) instead of the former $150 for Armenia. Pashinyan left for Davos on Monday, January 10 to take part in the World Economic Forum. The premier had earlier said that despite the proposed increase, the tariffs will remain unchanged for Armenian consumers “thanks to internal regulations”.